This German Potato Soup is called Kartoffelsuppe in Germany. Serve the Potato Soup with Frankfurters or Winers and a slice of bread. The recipe serves about 6 – 8 people. Wash and peel your potatoes, carrots, and celery knob. 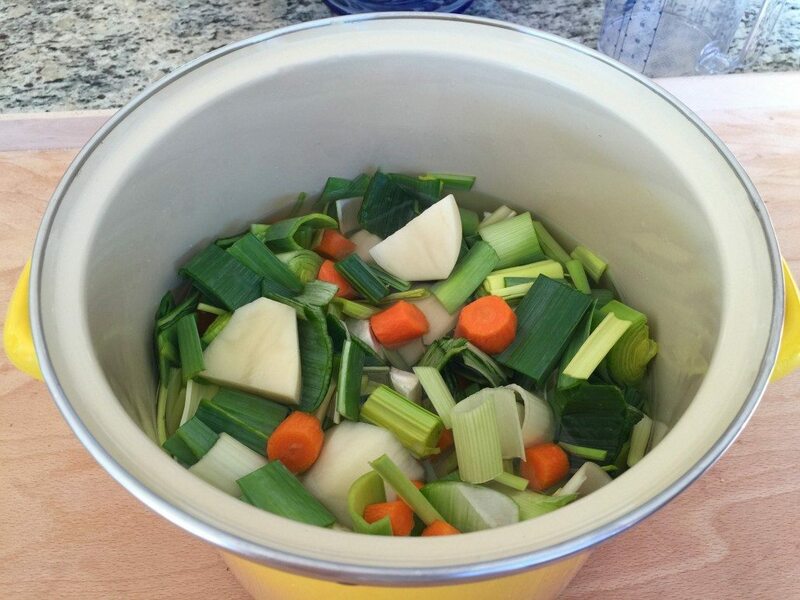 Cut the vegetables in chunky pieces and place in a saucepan. Cut the leeks in half, lengthwise, so that you can wash in between the leaves. After rinsing the leeks with water, cut them in chunky pieces and add them to the potato mix. Add the water and salt to the saucepan. Bring it to a boil and let it all simmer for about 25 minutes. Remove from the heat and either pass it through a food mill or use a handheld blender stick or use a blender, as I did. 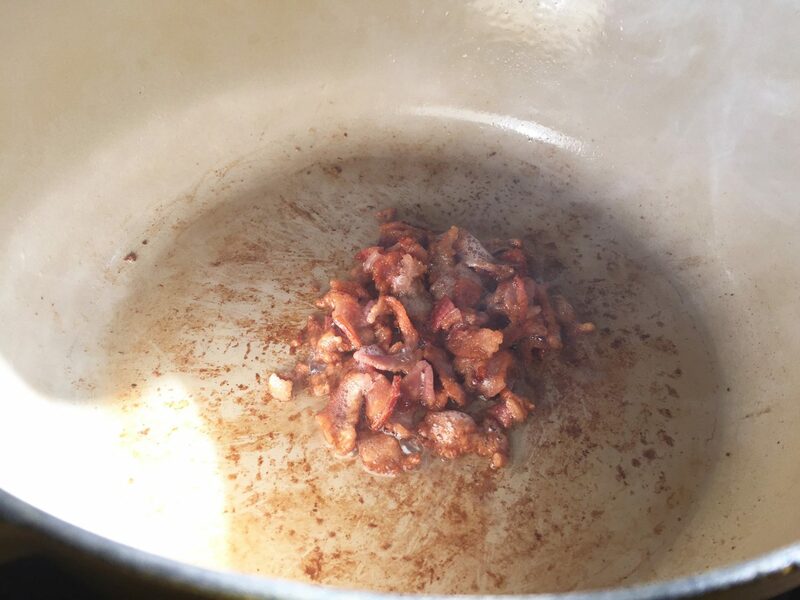 Cut the cured salt pork in pieces and fry it in a pan. When the fat on the pork has melted, remove the greaves. 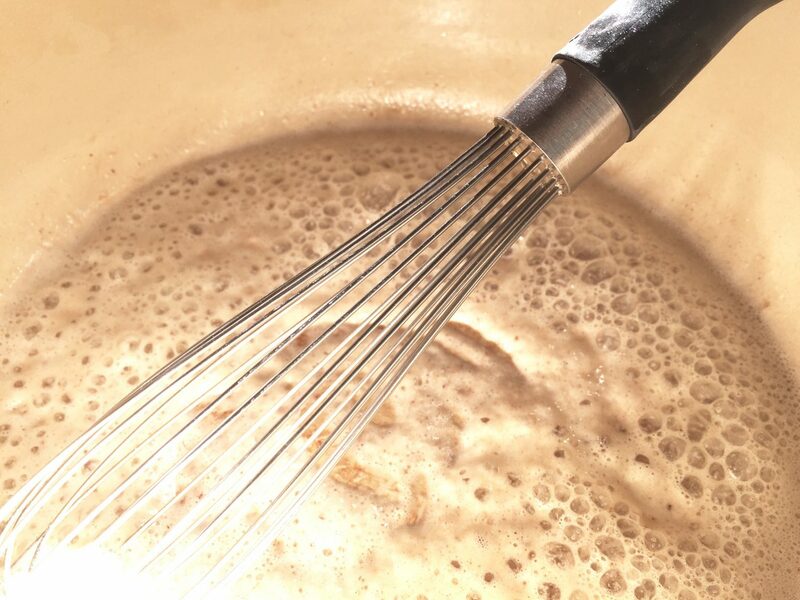 Add the flour to the pork fat and stir continuously with a whisk while adding 300 ml (10 oz) of water. Add in your blended vegetables and stir. Break apart the bouillon cubes and sprinkle them on top. 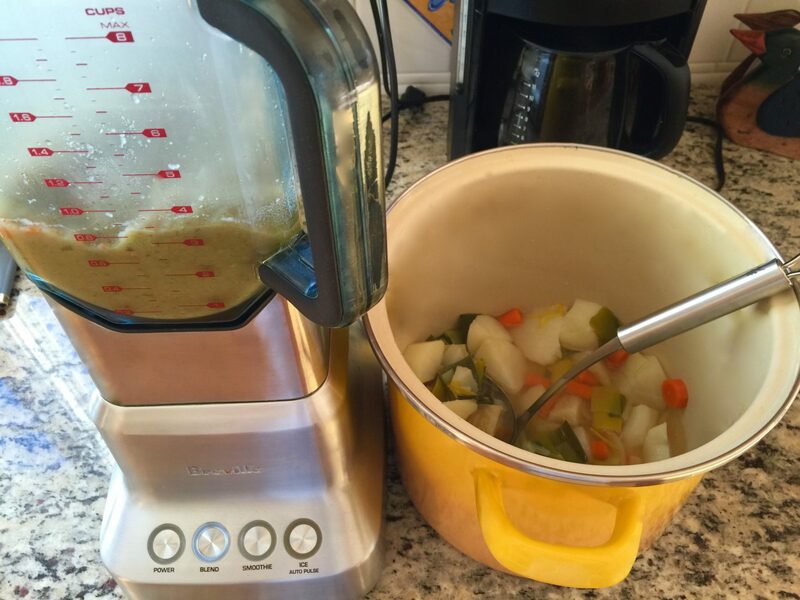 Bring the Potato Soup to a boil while constantly stirring. Season it any way you would like. 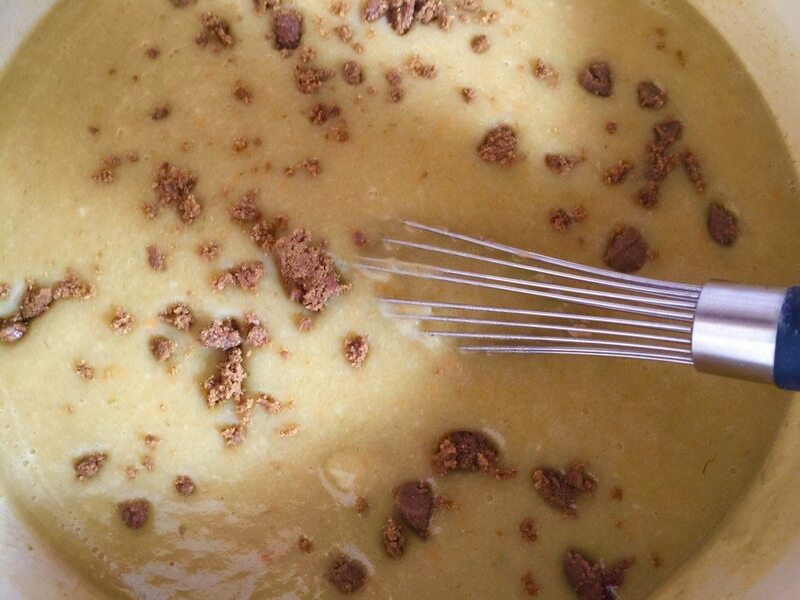 You can add 2 tablespoons of vinegar or 2 tablespoons of sour cream or crème fraîche. Serve the soup with Wieners or Frankfurters and with Oma’s Homemade Potato Pancakes.